Train users are being warned to expect disruption this week as the latest round of strike action to affect Northern takes place. Members of the Rail, Maritime and Transport union (RMT) at Arriva Rail North (Northern) will walk out for 24 hours today (Monday), and again on Thursday, in the long-running row over the role of guards. The company has been embroiled in a year-long argument with the union over staffing and guards, which is also affecting four other train operators, including South Western Railway (SWR). 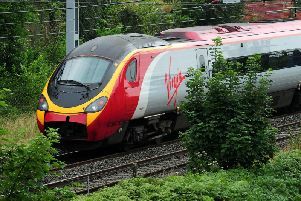 A spokesman for Northern said in a statement: "To help keep you on the move during RMT strike action on Monday 26 and Thursday March 29 we will run almost 1,400 services. RMT general secretary Mick Cash said: "Every single effort that RMT has made to reach a negotiated settlement with Northern Rail over safe operation and safe staffing has been kicked back in our faces. "No one should be in any doubt, this dispute is about putting the safety of the travelling public before the profits of the private train companies. "It is frankly ludicrous that we have been able to negotiate long-term arrangements in Scotland and Wales that protect the guards and passenger safety but we are being denied the same opportunities with rail companies in England. "Prime Minister Theresa May and Transport Secretary Chris Grayling are happy to stand aside and cheer on overseas rail companies like Arriva that rip-off the British passenger with eye-watering fare increases to subsidise their domestic transport operations while throwing the guards off our trains." Arriva said most of its services will run between 7am and 7pm, although the number of trains will be reduced, and those that do run will be busier than normal. The company says it wants to hold constructive discussions with the union about introducing driver controlled trains on parts of its network. RMT members on the DLR are due to strike for 48 hours from 4am on Wednesday and for four days from April 20, hitting the London Marathon on April 22. Talks will be held at the conciliation service Acas on Monday to try to avert the strike, which would cause huge disruption to commuters and other passengers.